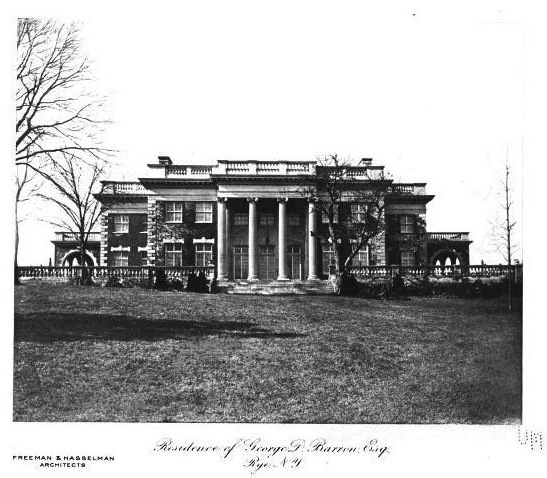 'Villa Aurora', the George Davis Barron estate designed by Freeman & Hasselman c. 1900 in Rye, New York. Barron, a mining engineer, was one-time treasurer of the American Institute of Mining and Metallurgical Engineers and owner and operator of mines and metallurgical plants in Mexico. Click HERE for more on 'Villa Aurora' which has since been demolished. Photo from The New York Architect, 1908. 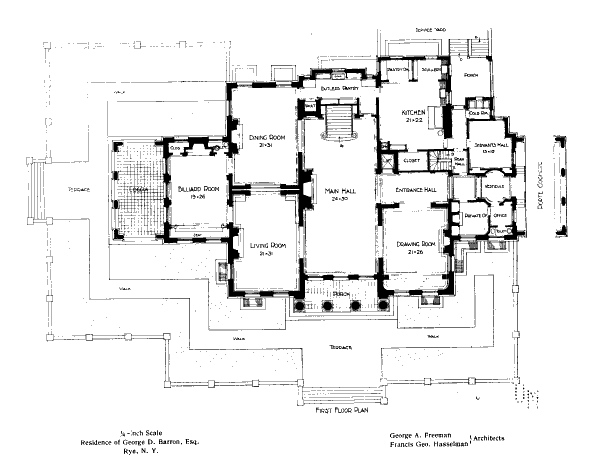 Here's a perfect example of the trickle down design effect, and architects taking inspiration from each other: In 1897, Carrere & Hastings designed 'Bellefontaine' at Lenox, one of the most lavish houses in the country at the time It was a sensation in the architectural press, published in all the magazines. By 1900 Freeman and Hasselman were adapting its facade for this large suburban house. 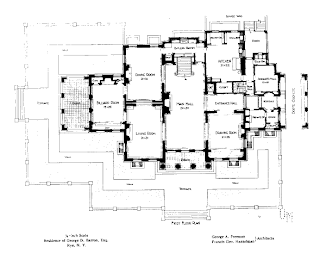 Inside, a more conventional plan than 'Bellefontaine' with the usual assortment of rooms around a hall.